There will be a great deal of Oxen who will be relieved to see the year of the Monkey begin on the 8th February 2016 although I know that there have been a lot of Oxen who have enjoyed a successful year of the Goat as I have kept in regular contact with some of my clients who have updated me on their progress of the year; although the Oxen was predicted trouble over the year, the Annual Advice that we gave and placing their Annual Cures and Enhancer Kit helped them to avoid a lot of problems that were indicated. The conflict animal for 2016, year of the Yang Fire Monkey is the Tiger and they will have aspects of their life that are going to require care although there will also be some fortunate areas. 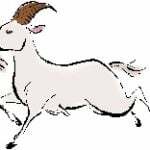 By following the advice for the Chinese Animals for 2016, all of the Chinese Animals can make the most of the year of the Yang Fire Monkey along with the fine tuning of our powerful Feng Shui Software to get as good a result as possible. 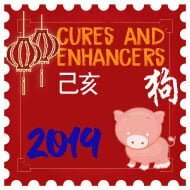 As we come into the year of the Monkey, we will need some special cures and enhancers in 2016 to make the most of the year. Chinese astrology and western astrology are two very different things. Chinese astrology is used to inform people of what they could place and how they can make certain changes to their lifestyle and also how to apply cures and enhancers to avoid any problems that could potentially arise in their life; Chinese astrology is also about having the information in advance so that they can prepare themselves for the eventualities of the year ahead; prevention is usually the best Cure. The information on this site for 2015 will help you to be prepared and make informed decisions throughout the year ahead for certain aspects that may affect your well-being and endeavours. It is important that you know when and how to avoid bad influences during 2016. If you follow the advice for your Chinese Animal for the year of the Monkey and approach the year ahead with a positive attitude with a desire to achieve goals and dreams, you will be able to avoid a lot of problems that could be coming your way in 2016. 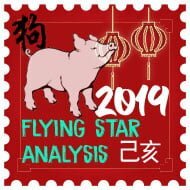 You can also avoid a lot of problems by reading our advice for the 2016 Flying Star (Xuan Kong) and For example: if your Chinese Animal is a Tiger and read on our synopsis for the year or somewhere else that the year ahead is going to be challenging for you, you can avoid many problems by thinking positive and researching your Flying Star chart and looking for the source of the problem in your home and make the most of the good areas of your home and office and suppress the negative influences of the bad areas. 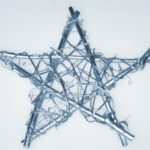 Being able to avoid and suppress negative Flying Stars can help you modify your years luck in a good way. 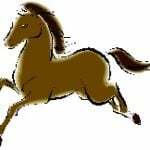 There is going to be many websites and other practitioners who will predict all sorts of problems and calamities for a certain animal in any year. What you need to bear in mind is that even though there may be problems arising, there is usually always a solution to a problem which we have written in to each synopsis for 2016 for you. Please take this with a pinch of salt and enjoy a great 2016. 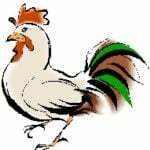 I would advise preparing your annual cures and enhancers as soon as possible as it really Is crucial to get this right although please do not place your Cures for 2016 before the 4th February 2016 as this is the beginning date for when the Annual Flying Stars change for the year ahead. This will set the foundations for a trouble free year; make sure that you check back at the beginning of every month on here for our monthly updates to be even more prepared for the year ahead. 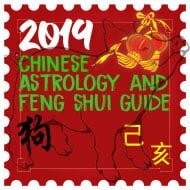 If you want to be fully prepared, you could use our professional Flying Star Feng Shui Software or 2016 Tong Shu Almanac Software which will give you total control on an annual and monthly basis. This year we have combined the software with our annual cures kit to give you even better value and savings. Those born in the year of the Tiger may be affected by the conflicting influences of the year of the Yang Fire Monkey Bing Shen. 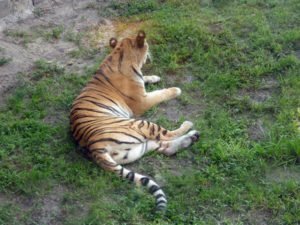 In saying this, we hope that those born in the year of the Tiger are aware of potential difficulties they may encounter during the year and take extra care in whatever they do without taking undue risks. The degree of influence varies from one person to another. One of the major considerations is the heavenly stem of the year in which one was born, more on this later. 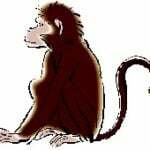 In China, the solar calendar of the Bing Shen (Yang Fire Monkey) year starts on 4th February 2016 at 17:46 China time. In the UK, the new solar year starts on 4th February 2016 at 09:46. In Washington USA it will start 4th February 2016 at 04:46 and if you live in Barcelona you would place your cures at 10:46. 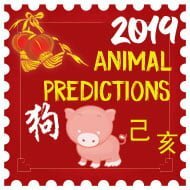 Every year we put together a page on Chinese New Year world times 2016 that will help you confirm the times and dates for the Chinese New Year’s Solar and lunar. This is not the Chinese New Year 2016 you would celebrate; please check this website for further details. 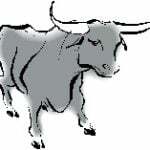 Please click the image of any Chinese Animal below to view their advice and predictions for 2016. The best thing I can recommend is to hang a 6 metal rod wind chime in the northwest while the work is being carried out. I did receive my products…picked it up today from the Mail. Everything was as shown on the website and quality very good. Very satisfied and would definitely buy from this seller again. I\’m glad to hear you got your Cures safely; thank you for letting us know. I live in a 2nd floor apt facing East. My kitchen is in the NE, my bathroom is in the S and the centre is a closet which includes where the central air unit is. My bedroom is in the SW area. How am I supposed to avoid the kitchen area and make no noise (cooking, blenders, dishwasher etc) also the bathroom has an automatic fan that turns on when you are in the bathroom, which is very loud. The same with the central air unit is very loud when it turns on for heat/air condition. Please help. My birthdate is Jan 27 1965. I am new to this. Thank you. The dishwasher and blender should not cause a problem, it is more loud machinery such as ceiling fans etc. For your fan and air conditioning, I would recommend hanging a wind chime where they are located if they are in either the northeast, or centre. Please send more Feng Shui related articles and life predictions for individuals specific living guidances. Thanks.